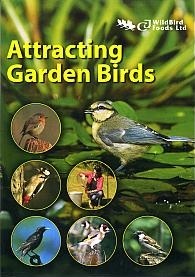 More than an identification guide to practically every garden bird you are likely to see, this DVD is also full of tips on making your garden more attractive to a wider range of species. Step by step hints on identification, feeding, nest boxes and much more. Superb footage, high quality sound and a helpful voiceover make this DVD an ideal information source for anyone wishing to encourage more birds in to the garden. Narrated by Welshman Iolo Williams, a well known and highly respected birdwatcher and wildlife broadcaster.